Father Joseph Wahba Boules was born on October 21, 1964. He earned a Bachelor of Science Degree in Computer Science from the California Polytechnic University at Pomona. He served as Deacon and Sunday School Teacher from 1981 to 1997 at Saint George Church in Bellflower, California. 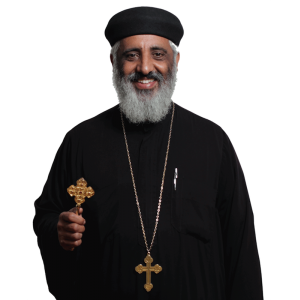 His Grace Bishop Serapion ordained him a presbyter on June 22, 1997. On Sunday, May 22, 2016, he was elevated to the priestly dignity of Hegumen by His Eminence Metropolitan Serapion.